Which of TV’s Many Fake Bernie Madoffs Are Worse Than the Real Deal? On Friday, Tower Heist arrives in theaters, with Ben Stiller and Eddie Murphy leading a team of first-time crooks intent on stealing $20 million from Arthur Shaw (Alan Alda), a Bernie Madoff–type criminal who defrauded the neophyte thieves and hundreds of others out of millions. 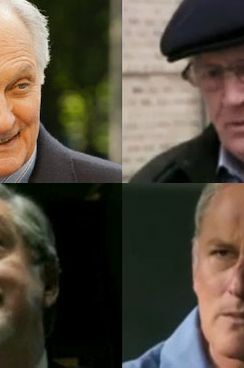 Fictional Ponzi-schemers have been popping up in fictions long before Madoff, but since his 2008 arrest, wealthy, white-haired investor con men have become the villain of choice for TV. Law & Order has wrung many a case of the week out of Madoff types, Damages hung its whole third season on one, and one of the 2 Broke Girls is the spawn of a Madoff knockoff. But how do all these doppelgängers compare to the real criminal? 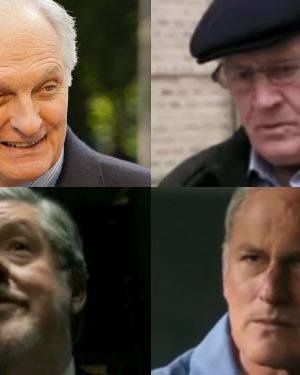 Is it possible for a TV writer’s imagination to out-evil Bernie Madoff? Let’s check the listings!